At seven games below .500, the Mariners have problems galore. The starting rotation is a patchwork. The bullpen isn’t completely reliable, and worst of all they can’t score runs. None of the answers to these problems are simple. Some of them just have to be addressed in order of priority. The one thing that would make this team vastly better is to figure out what the is wrong with the offense and fix it. As you can see, it’s not like all the players on the 2015 team have fallen off a cliff and are utterly terrible. Some have. Hard to remember back to June of last year, but Mike Zunino was a better hitter than he would end up being in September and today. Would you rather have Justin Smoak fishing for his potential, or Logan Morrison? Brad Miller in 2015 is much superior to last year. Michael Saunders was a good player, but about to reinjure his shoulder, suffer an infection and illness, missing most of the rest of the year. Nelson Cruz is having one of the best offensive years in the game.Smith is a vast improvement over any Mariners DH from last year. But if you look down the list at Robbie Cano, that is the biggest offensive discrepancy. It’s not just that Cano is scuffling. Cano was, arguably, the glue that held the 2014 team together. They frequently scuffled to score runs, but he seemed to do so much with a timely single, gave himself up to score a run. He was a run producer and a run scorer. By this date last year he scored 26 runs. this year with Nelson Cruz, Kyle Seager and Logan Morrison hitting behind him, Robbie has scored only 22 runs. Most important, Cano was a huge influence in the clubhouse. He taught new guys to play the game the right way. He practiced with them. He taught the young guys how to hit with the “net drill.” It’s hard to help others when scuffling. it’s tough to be the clubhouse leader, the example, the enforcer of rules and tradition, when not having success on the field. Finally, Cano’s struggles affect the the success of others. I am seeing the slow decline of Cruz’s effectiveness as pitchers are free to work around him. Without Cano on base, Cruz is faced with swinging at borderline pitches, nothing close to his wheelhouse. His power numbers and Kyle Seager’s are beginning to suffer. 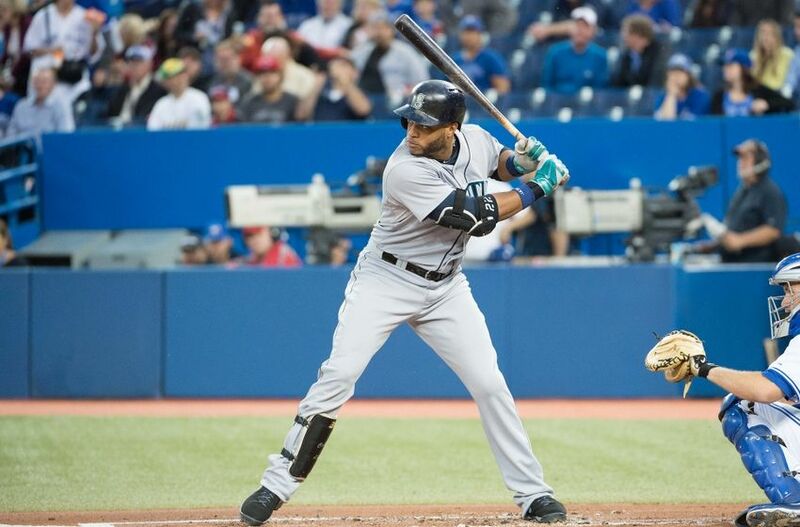 I don’t pretend for a moment that fixing Robinson Cano is an easy task. He’s a pro, and he’s excelled at this game for many years. I believe he thrives on success, and if it was as simple as flipping a switch or waving a magic wand it would have been done long ago. I do believe the team will struggle to score as long as Robinson Cano struggles. The 2014 team was Cano’s team. They’ll improve offensively when he does. . Note to Lloyd and Jack: What Happened to the Plan? Don’t get me started on last night’s latest loss, a 1-0 snorefest. The only run in the game came off a Fernando Rodney meatball in the top of the ninth, hit into the left field seats by Logan Forsythe. The Mariners had scoring opportunities, but simply could not find it in themselves to get a key hit. We’ll leave aside the train wreck that has become Fernando Rodney today to talk about the failure of an overall pre-season Mariners strategy. Actually, not a failure, more of an abandonment of strategy. An old military adage is that no campaign plan survives first contact with the enemy. After that it’s all about contingency and reacting to the enemy. As general manager Jack Zdurencik was assembling this team, it’s clear he had something in mind. The M’s had to balance out the left/right disparities in the 2014 lineup. He went out and got the best right-handed power-hitter available in Nelson Cruz to become the DH. (Apologies to Victor Martinez, but you can’t claim to be the best of anything if you can’t stay on the field.) Seeking to bolster an offense-challenged outfield, Z ran into difficulty getting a single right handed hitter to fill in right field, so he pursued a platoon and finagled right-handed Justin Ruggiano and surrendered the valuable Brandon Maurer to the Padres for lefty Seth Smith. He also hedged his platoon instincts and signed lefty masher Ricky Weeks to get some time with Dustin Ackley in left field as well as first base and DH. But something has gone awry with the plan. Let’s start with right field. The M’s have now played 55 games. In those games the starting right fielder for 32 of them have not been the Smith/Ruggiano platoon, but Cruz. Cruz doesn’t like DHing, prefers to play the outfield, but there are consequences for that. Ruggiano, also a right-hander, didn’t play much, at .214, didn’t hit a lot, and this week with the acquisition of Mark Trumbo, the M’s DFA’ed him. Ruggiano started 21 games in his brief career in Seattle, most of the them filling in for the injured Austin Jackson in center field, amassing a grand total of 81 plate appearances. Hard to say what depressed Ruggs’ performance, lack of talent or lack of consistent playing time. Smith, Ruggiano’s platoon partner in right, has gotten most of the playing time there when Cruz is DH’ing. He’s also been a consistent performer and has gotten additional at bats in left field and as DH. His performance is better too, with a .255/.319/.477 slash line. But the point is that the plan to have Cruz DH and the Smith/Ruggiano platoon in right went out the window April 7th when Cruz began his regular sojourns in right field, mostly displacing Ruggiano. On the other side of the outfield, there has been little more than offensive catastrophe. Jack Z signed Ricky Weeks to provide some right handed power off the bench and get some platoon time with Logan Morrison and at DH. It was thought (hoped) Ackley would build on his end of season success from 2014 and return to play a solid season in 2015. This was all complicated by the fact that Weeks was an infielder and never played a minute as a professional outfielder. Unfortunately, we know the story to date. Ackley is an uninspiring 127 AB’s worth of .197/.241/.331. Weeks is a comparable .167/.270/.256. Complicating things even more, is that Ricky really can’t play the outfield. He’s started four games there, and gone in as a defensive stand-in late in games (I wouldn’t use the word replacement.) Most of his at-bats have come as a pinch hitter or DH. Smith has seen some time in left, sitting the flailing Ackley. Early in the season, a light switch went on or off. The carefully constructed outfield rotation went quickly out the window. Cruz to right displaced the Smith/Ruggiano platoon. The Ackley/Weeks platoon never really happened and became irrelevant with Ackley ineffective at the plate. Though Cruz has been stellar, and Smith solid, the under-achievement of everybody else explains why Zdurencik made the trade for Trumbo. But the shuffle in right remains a puzzle to me. Why did it happen almost immediately in the season before the Smith/Ruggiano platoon could be judged a failure? Or, if Lloyd really wanted Cruz in right, why not move that platoon to left when it became evident Ackley/Weeks was a pile of poop? And why DFA Ruggiano, when it’s clear Weeks isn’t going to get at-bats and can’t play defense? Somebody’s got some ‘splainin’ to do. That’s what happens when your team, predicted to be in the World Series, can’t find the win column. The Mariners lost 2-1 yesterday to the Tampa Bay Rays. They were swept by the Yankees, and have gone 1-7 on the current home stand. After clawing their way to .500 on last week’s lengthy road trip through the Eastern division, they’ve now lost six straight and find themselves mired in fourth place, nine and half games behind the division-leading Astros. It’s June 5th, and it seems like old times again. Remember all those predictions about how great things were gonna be this year. Well, forget about it. Remember my fears about the lack of pitching depth? The M’s are experiencing it right now. All the efforts made by the front office to make the offense better, it’s not working and the Mariners continue to struggle to score. They are last in batting average, last in on-base percentage and 14th out of 15 teams in runs scored. Wednesday night the Mariners announced a trade with the Diamondbacks. They sent reliever Dominic Leone, catcher Wellington Castillo, AA outfielder Gabby Guerrero, and infielder Jack Reinheimer. In return they received outfielder/first baseman/designated hitter Mark Trumbo and lefty pitcher Vidal Nuno. Is this a game changer? Um, probably not. Trumbo is the kind of righty power hitter Jack Zdurencik has always loved. Below .300 OBP, he’ll hit some home runs and strike out a lot. He’s a younger, less injured version of Mike Morse–not much of a defender, but they needed a bat so Jack Z fixed on him. Nuno might be more important, given how short the Mariners are for starting pitching. Nuno, 27, struggled as a starter for the Yankees for three years before coming over to the Diamondbacks. His performance improved with the Snakes, but he has only had three games with them this year. He may be someone who can eat some innings for the Mariners, but he will start in the bullpen in long relief. How important is this deal? Trumbo may hit some home runs, but it doesn’t change the fact the M’s simply don’t hit with runners in scoring position. they are fourth in the AL in home runs, but 14th in runs scored. They are second in the league in strikeouts. In their last 15 games the Mariners have scored four or more runs just four times. Three of those games were just four runs, and the other game was the Fernando Rodney meltdown against Tampa Bay won in extra innings 7-6. It’s clear the M’s need offensive help. It’s also easy to just brush this off as a panic move. The fact of the matter is that not much is going right for the M’s. They didn’t give up much to get Trumbo and Nuno. It may help, but isn’t going to be transformative. No, transformation will come when Robinson Cano begins to approach his career norms. The M’s will win more games if Dustin Ackley, Brad Miller and Mike Zunino begin to hit consistently. That’s what the M’s planned for. The team will win more games when Hisashi Iwakuma and James Paxton return from the DL and if the bullpen, especially Mr. Rodney, go out and consistently become the run-stopping crew of 2014. Finally, this should be a referendum on the types of teams Jack Zdurencik has assembled. Originally building his teams on run prevention-good pitching and defense-Jack has left the good defense part for the false promise of the home run ball. He’s brought in a procession of players the past few years that have mashed, but mash no more-Corey Hart, Jack Cust, Mike Morse-as well as a few that only mash, notably Nelson Cruz and Mark Trumbo. Set aside the signing of Cano and the development of Kyle Seager, and this is the team that he constructed through draft, trade and free agent signing. Time is running out on the Jack Z Experience. Fans expected more for this season and they’re entitled to demand blood if the good ship Mariner is wrecked on the rocks by July 1.